Your home’s garage door is one of the largest moving pieces of your house and also the one that likely sees the most use. Your garage door opener is the heart of this modern convenience so proper maintenance and/or replacement of key components is a must in order to keep your door operating smoothly and efficiently. 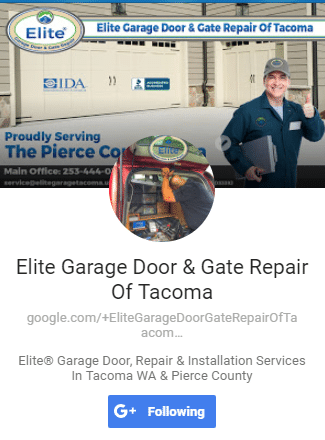 Elite Garage Door & Gate Repair of Tacoma, WA has trained and licensed professionals on call and ready to tackle any problem with your garage door from maintenance & repair to sales and installation. These are just some of the brands we specialize in: Wayne Dalton, Genie, Linear, Stanley, Liftmaster, Marantec, Amarr and much more! Our 25 Point Safety Inspection Will Ensure Your Equipment Is Operating Properly and Efficiently. Your Garage Door Is The Single Largest Moving Component On Your Home So Ensuring It Operates Safely Is Our Top Priority! Repairs and Safety Are Our First Priority! Not only do we install new garage door openers and parts but we employ fully licensed technicians who can diagnose and repair any malfunction in every part of your garage door system. Let us give you a quote today. We offer full maintenance services to keep your garage door operating at peak efficiency. If your door rattles or shakes give us a call! All of our openers are energy efficient and eco-friendly, with overhead lights that turn off automatically and a power saving standby mode. Most people use their garage door every day so having an energy efficient opener and routine maintenance ensures the best value for the life of your investment.